Register now to get exclusive access the moment this ebook comes out! “FREE only for first 100” Hurry Up!! 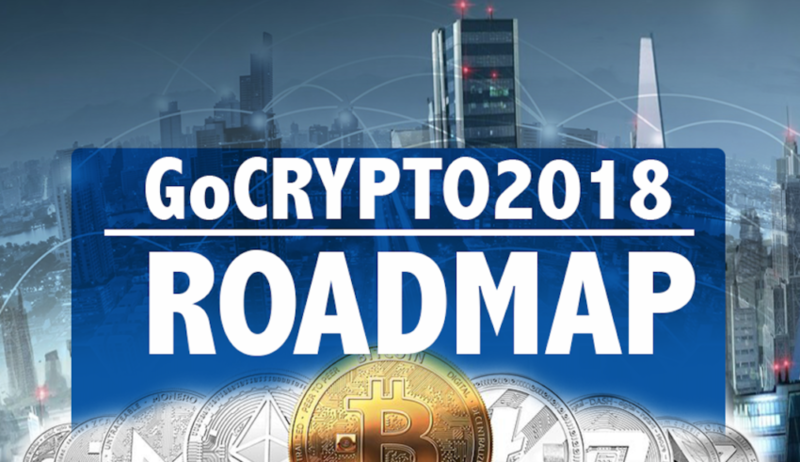 The research team have spend time working on this special GoCrypto2018 Roadmap, everything you really need to know before starting your Crypto journey. it also include every tips to take you to the next level even if you already bought your first coin! 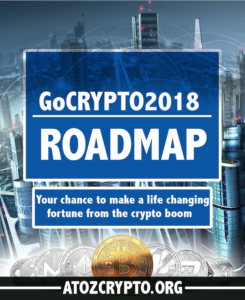 You will have to register AND validate a free account with AtoZcrypto.org in other to receive your FREE copy of this eBook when it come out next week! Register here to have exclusive access the moment it comes out. This promotion is not intended as investment advice. Your capital is at risk when you invest – you can lose some or all of your money. Cryptocurrency investing is high risk and are unregulated. Never risk more than you can afford to lose. Forecasts are not a reliable indicator of future results. Always seek personal advice if you are unsure about the suitability of any investment. Please read our Privacy-and-Policy here.